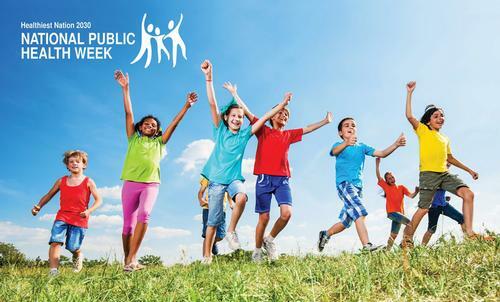 National Public Health Week takes place this week, from April 2-8. But what is "public health", you may be asking? Public health promotes and protects the health of all people and the communities where we live, learn, work, and play. It aims to protect the health of entire populations, from your school, workplace, and neighborhood, to an entire city. You may go to a doctor when you are sick, but people working in public health try to prevent people from getting sick or injured in the first place. Your health isn’t just that you’re free from illness—it also means you have good mental health, you are connected with any social services and public assistance you may need, you have safe housing and clean drinking water, education and job resources, and access to healthy, affordable foods. Throughout our region, the Philadelphia Department of Public Health is responsible for keeping the city healthy. To find out how healthy your neighborhood is, you can check out health statistics via the Community Health Explorer app. If you’re looking for free health screenings for any number of health conditions, you can find a monthly list from the Office of Health Information and Improvement. To find a health center where you can be seen by a healthcare provider, check out this citywide list. Libraries can also help to improve health literacy—the ability to obtain, process, and understand health information. Browse our online calendar for health programs at your neighborhood library to take advantage of classes to better your health or to check out some great public health reads.